Posted on July 8, 2015 by Hawaii's Local Buzz. Rainfall is low in July. The Big Island gets about 0.57 inches of rain in July, Oahu gets about 0.92 inches, and Maui about 0.5 inches on average. Temperatures are typically in the 80’s during the day, and in the 70’s during the night. July is a popular time to visit Hawaii. This is because most kids in North America are out of school, so a lot of families take their vacations this month. July 4th, in particular, is a lively time in Hawaii, with many fireworks displays and luaus to enjoy. The cost of a hotel room is about average in July. However, airfare tends to be higher in July than in many other months. If you’re planning a vacation this month, be sure to get the most of it by visiting multiple islands. We’d love to see you at Paradise Meadows Orchard & Bee Farm on the Big Island! There are several major Hawaiian festivals held in July. On Oahu, you can partake in the Prince Lot Hula Festival. On Maui, there’s the Paniolo Parade, and on Kauai, the Koloa Plantation Days attract tourists and locals. 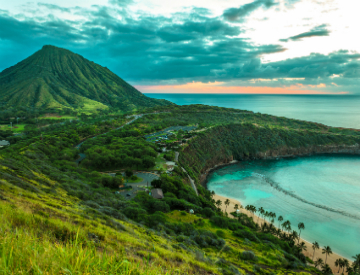 In summary, July is an awesome time to visit the Hawaiian islands. While you’re in town, be sure to come by Paradise Meadows Orchard & Bee Farm. We’ll show you how things work on the farm, and offer samples of our locally grown goodies. Visit our website for more information, or to order some delicious Hawaiian treats in anticipation of your trip.